Thanks for writing all these interesting articles. I found you a couple weeks ago from an Atomic Rockets link and since then I've read almost everything here. I look forwards to another three years. Congratulations on your anniversary, Rick! Congratulations on the anniversary. I've been lurking around for the past year and enjoy the posts as well as the discussions. Thanks to everyone involved, and please keep it up! Congrats on your anniversary. Most blogs poop out in couple of years. Yours keeps getting better. Hubble's picture of the Pillars of Creation is right up there with the Apollo 8 pic of Earthrise over the austere surface of the Moon. One of those rare moments when things really do change. If you have any imagination you can't think about our place in the cosmos in quite the same way again. "One curious oddity: about 5 percent of my total readership comes from Calgary. I have no idea why." Work. Home. Coffee shop. Pub. Internet addiction. Congratulations on three years! You’ve provided a great deal of information and given me ideas to think about with my own attempts at fiction. Good job! Also congrats to Hubble and its team! Here’s to many more years and many more amazing images of our universe. The Hubble Deep Field is probably my favorite. Amazing what is out there. Sometimes things just work out in an unexpected manner...both this blog and the Hubble Space Telescope! Congratulations to both of you. Hi from Italy! Really good blog, I found it via Atomic Rocket. Keep up the good work! Congratulations to both of you. For what it's worth, I'm one of the people who discovered this site via the Atomic Rocket twitter feed. Happy third anniversary! I too recently found this blog via Winchell Chung's Atomic Rocket site. I only wish I'd found it three years sooner. Welcome to new commenters, and thanks to everyone for generous remarks! 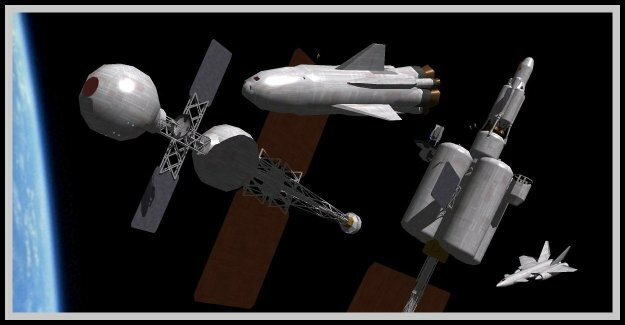 Here is a piece I wrote about space elevators back in the early days of this blog. I am not a fan, because space traffic has to be truly enormous to justify a 40,000 km railroad bridge to space. Yes, the Pillars of Creation are sort of the temple gate of astronomy images, a place for Mysteries in the original sense of the word. The deep images have their own subtle awe. Oh hell, pretty much all of it is awesome. Congratulations on this milestone! I discovered you blog when I was looking up things like steampunk, divepunk, spacepunk, rocketpunk... et. al. I love this blog and the work you put into it! Thank you! A few issues here and there and I have a huge backlog of posts to sort through. Before I start answering the others I'll say happy anniversary to this wonderful and obviously thriving blog. Good job Rick and thanks! It's official; this is my favorite site on the net (even though it sometimes makes me feel like the village idiot!). This is amazing to me because RPM doesn't have 1: Scantily clad women, 2: Sports, 3: Music, 4: Cutting edge graphics, 5: Bells and whistles of any kind! The RPM (nice acronym) is just people's imaginations playing with future possibilities: I love it. "(even though it sometimes makes me feel like the village idiot!)" It makes me feel like the village idiot and I studied quantum mechanics and aerospace engineering at college levels. Them be some fright'ningly scary smart folks thar. I never even noticed 'RPM' till you mentioned it here! This site will remain pretty much bells & whistles free, and 'multimedia' free. Multimedia is evil, graphics on steroids, hoovering up bandwidth and delivering only pseudo cool distraction in return. My, are we feeling grumpy today. While I'm at it, death to quick cutting. If I'm gonna spend $10 and two hours, I want to actually SEE the cool stuff, not just glimpse it in passing. But mostly, a huge thanks to this community. Quite apart from the head exploding aspect of the comment threads, I have been able to do some dangerous stuff here and get away with it. When I put up my Starship Troopers post, Winch of Atomic Rockets emailed me and suggested wearing fire resistant gear. Thanks to all of you I've never needed any here, not even come close.